Oh how lovely...wonderful blues! You must grab all the moments you can with your darling girl. Time...goes...by...so...fast! What a beautiful spot to have tea! 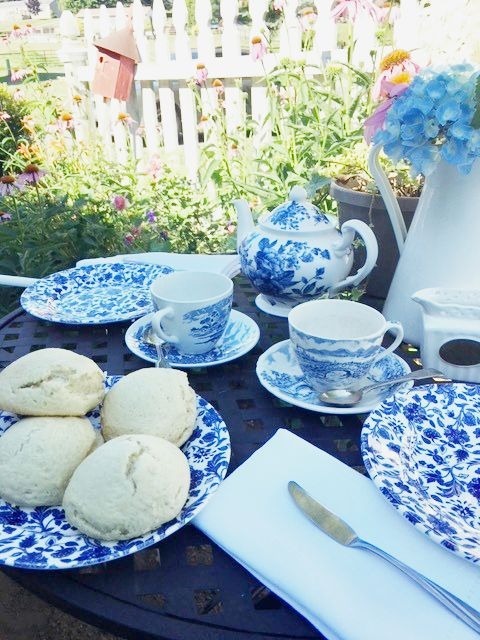 I love the blue and white - so pretty! 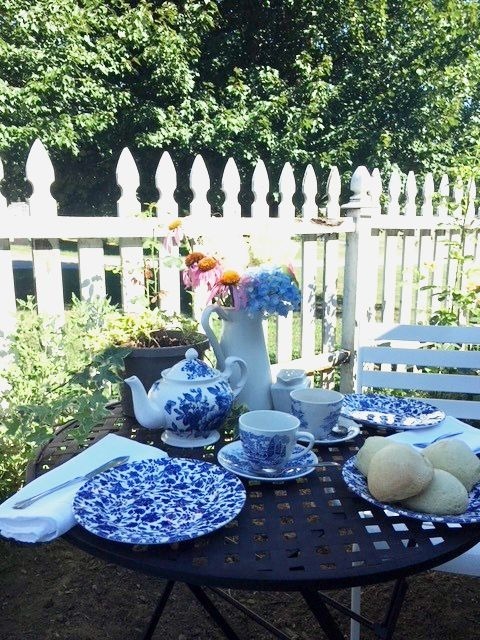 How lovely!Great tea time with gorgeous china and an adorable garden.Hugs. 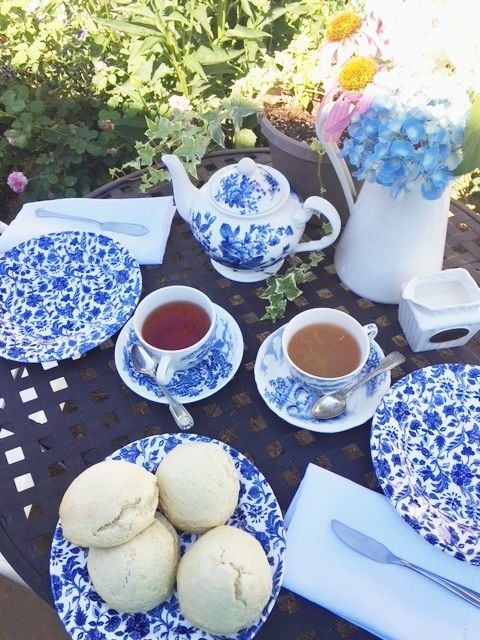 Your charming outdoor tea has me singing the blues! What a lovely summer moment! 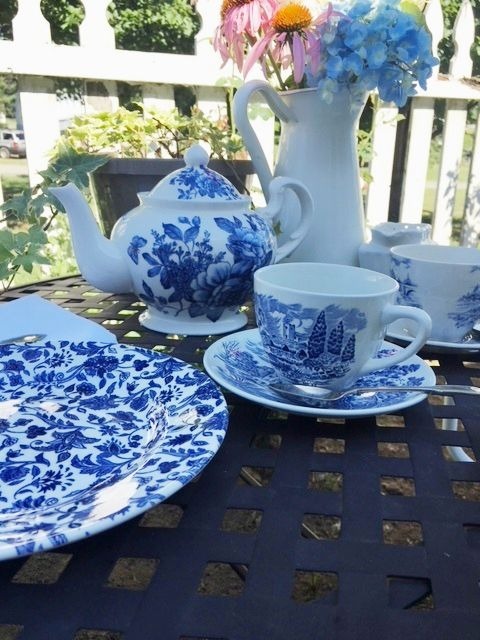 And blue and white are becoming one of my new obsessions, too. It's so fresh looking, isn't it? Of course I love all the blue and white. It must have cooled down a bit in order to have outside tea. 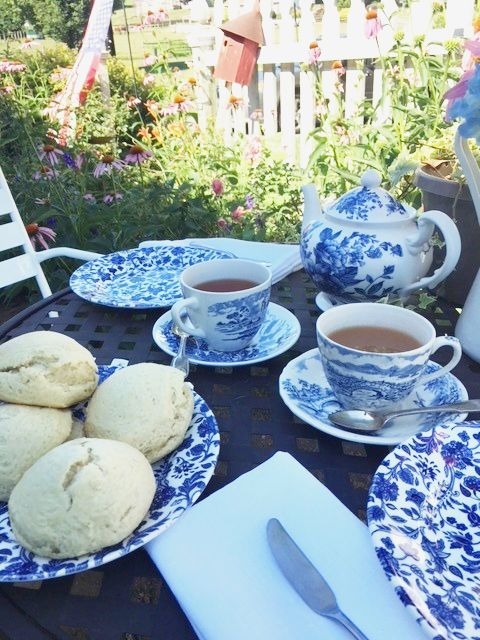 The scones look yummy. Best of all time with your daughter. 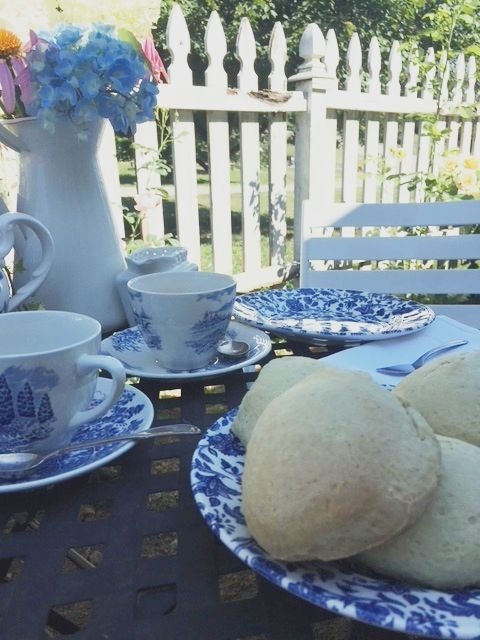 I think I can smell the scones! Yummy! And blue and white is a top fave colour combo! I'm sure you both had a wonderful visit over that charming tea table! All these blue dishes are absolutely wonderful!! 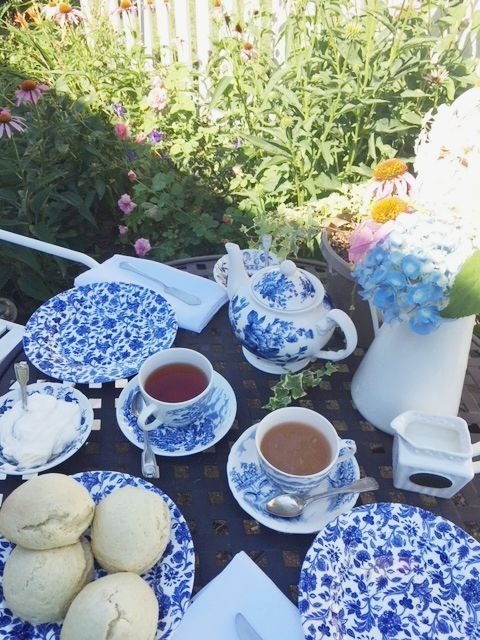 I love this garden setting and thank you for sharing this lovely tea in the garden! Deanna, that is so beautiful! 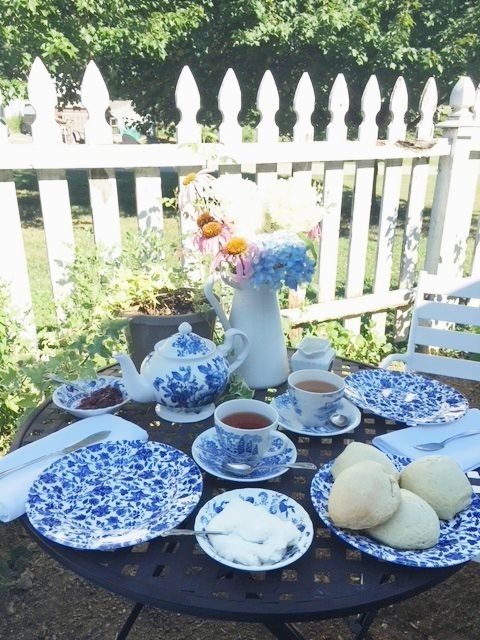 I have a love of blue and white china that must be genetic--on my mother's side.